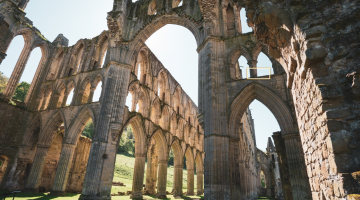 A stunning 6 or 7 day self-guided walk stretching from the pretty village of Wye to the coast at Dover, with the option of visiting historic Canterbury. 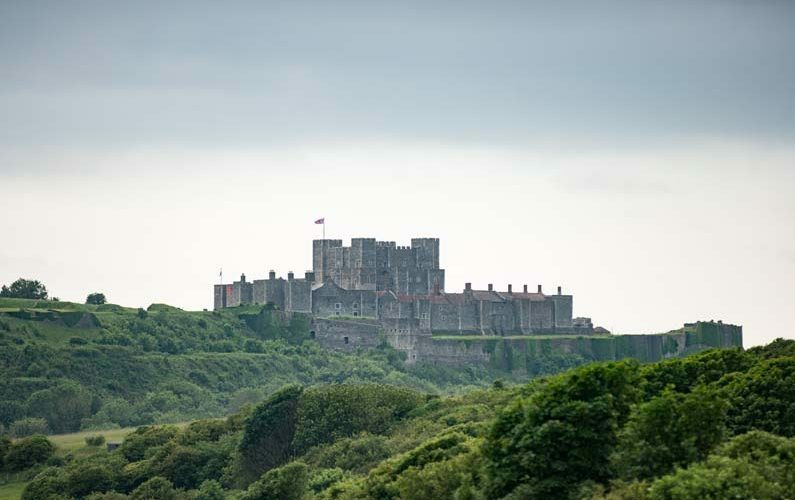 Explore the verdant rolling grassland and dry valleys of the Downs and admire epic views of the iconic White Cliffs of Dover and the historic old port of Deal with an option to follow in the footsteps of pilgrims to the magnificent cathedral at Canterbury. 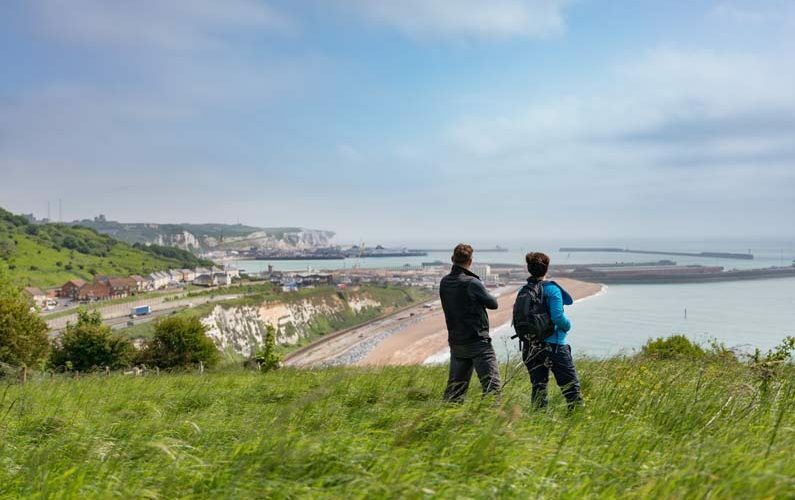 Follow the North Downs Way from the village of Wye across an Area of Outstanding Natural Beauty to reach the coast at Dover. 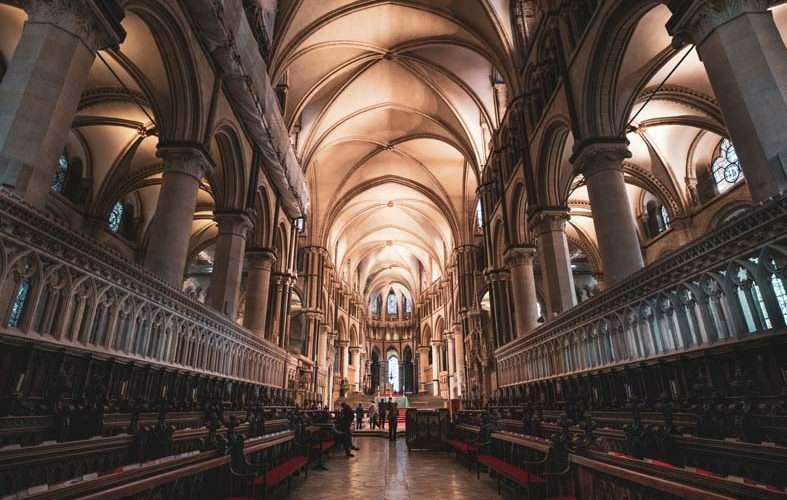 This flexible itinerary then offers the option of continuing on to the historic old ‘Cinque Port’ of Deal or making a personal pilgrimage to the cathedral city of Canterbury – site of Thomas Becket’s martyrdom in 1170. The route offers superb scenic tranquillity across a mixture of woodland, open grassland and hills; providing stunning views as you head towards the White Cliffs of Dover. 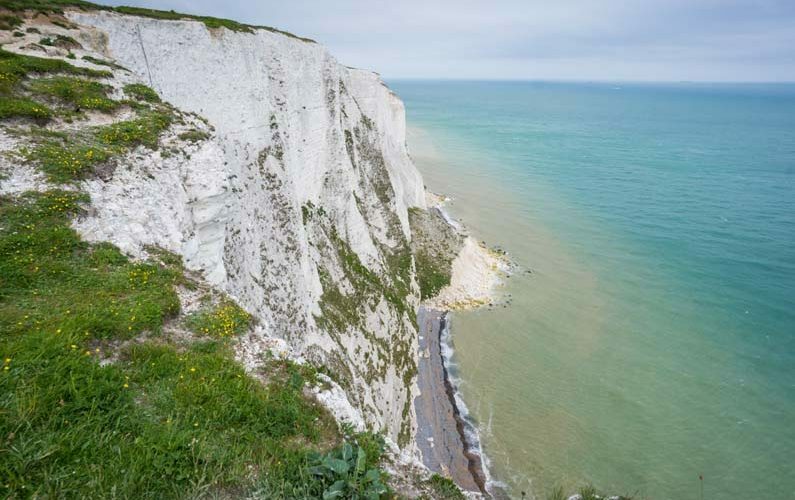 From Folkestone, the walk skirts the Kent coast and cliffs, winding its way on to the seaside town of Deal on the 6-day itinerary – or – on the 7-day itinerary, heading inland from Dover to Canterbury, following in the footsteps of medieval Pilgrims. 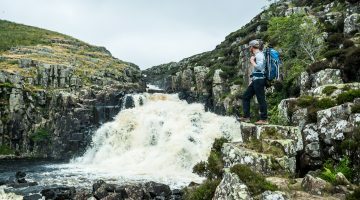 This itinerary has been created with Walk Awhile, a locally-based walking holiday company who specialise in self-guided walking holidays in the UK. 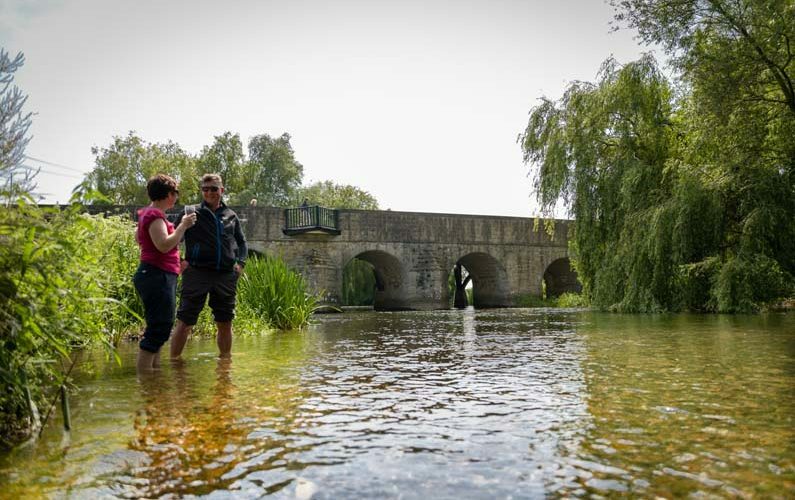 With more than 16 years’ experience, Walk Awhile is focused on Kent and the Pilgrims’ Way – with unrivalled local knowledge of the area. This flexible itinerary includes: accommodation in B&Bs, inns and hotels with breakfasts, daily luggage transfer, fully marked up maps and guidebooks with walk essentials hamper, tracker support. A Walk Awhile tracker will meet you on arrival evening to talk through the walk and provide the walk essentials hamper. Support and advice is available by phone throughout the duration of the walk. Starting in the pretty village of Wye, where the North Downs Way was officially opened in 1978, this route follows the chalk escarpment of the Kentish Downs to the iconic White Cliffs at Dover before heading east to the historic old port of Deal or north to the cathedral city of Canterbury. Along the way, you’ll encounter imposing castles and stunning coastal views. Check into your accommodation, a country inn at the heart of Wye village. A Walk Awhile tracker will meet you at the Inn to talk you through the walk and provide you with maps and guidebooks. Explore the old smuggling town of Deal which boasts an award winning high street with cafes, independent galleries, boutiques and bars or travel the 7 miles either on foot or by train to the neighbouring ‘Cinque Port’ town of Sandwich with a vast array of narrow streets and wood framed listed buildings before departing for travel home. Trains run frequently from both Canterbury West and Canterbury East stations back to London. Trains to Ashford, Dover and Folkestone for other connections. Walk Awhile accommodates walkers at inns, hotels and B&Bs. There are dozens of historic pubs along the route, including: The Five Bells, Brabourne, The Coastguard, St Margaret’s Bay, The Flying Horse, Wye and the Woolpack at Chilham. Air – the nearest airports are Gatwick, Heathrow and Stansted. Rail – take trains from Gatwick, Stansted or Heathrow Airport to London St. Pancras International and onward to Ashford in Kent. Ashford International Station is one stop from Wye. Canterbury, Ashford & Dover are also on the main train lines from St Pancras International. Take the Eurostar from Amsterdam, Rotterdam, Paris and Brussels to St. Pancras, and Ashford International. Coach – Alternatively, the National Express Coach Services run regularly from London Victoria to Canterbury, Ashford and Dover. Ferry – Arrive at Dover Ferry Port in Kent from Calais by cross channel ferry, from where trains can be taken to Ashford/Wye. Walk Awhile can arrange taxi services for you through local transport partners. Walking is moderate, recommended walking times are spring/summer/autumn. Standard walking equipment is required (information will be provided) and advice given on fitness levels. The trail is open all year and the distances could be comfortably achieved during the shorter days of winter, but the best time of year to walk this route is during spring or early summer, when the downlands are alive with wild flowers, insects and birds. Kent is known as the ‘Garden of England’ with locally grown fruit, including apples, pears, and soft fruits. Hops are grown for the local brewery in Faversham, and there are vineyards at Chartham near Canterbury and in the Elham Valley. There are local cheese makers such as Canterbury Cheesemakers and farmers markets fortnightly on Saturdays in Wye. 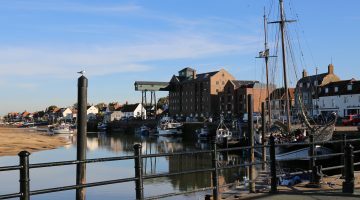 Walk Awhile can arrange an optional visit to the Shepherd Neame Brewery in Faversham – one of the oldest in England.